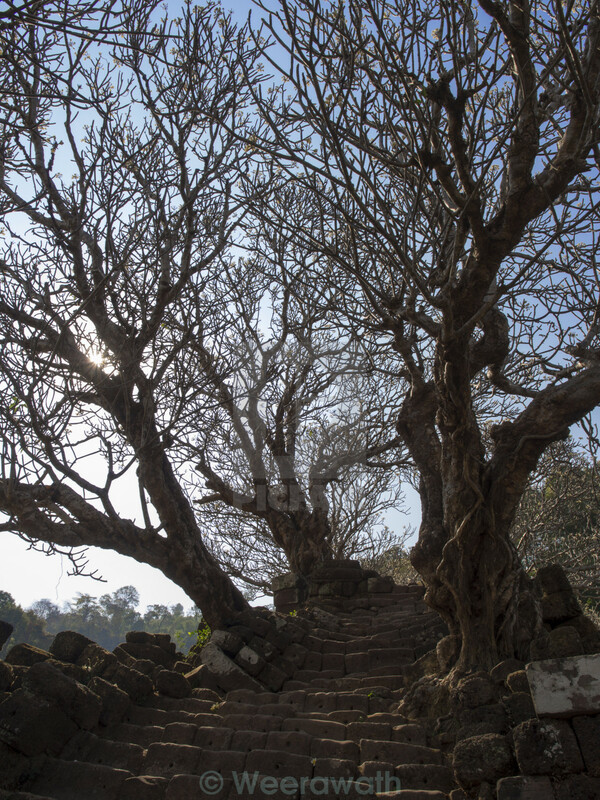 Bare tree and stone steps uphill to Wat Phu, the world heritage site in Jampasak of Laos. The dried hard-surface stone steps lead uphill to Wat Phu with leafless trees along side way. This picture was taken on summer sunny cloudless blue sky day. There are forest tree on background scene.